As these were so thickly cut they could not possibly break up like regular Crisps. It is perhaps a little unfair to rate a biscuity bite because it has its own qualities, but it is what it is - not a Crisp-like Crunch, but a well defined quality munch. When we opened the bag, there were literally sheaths of Crisps.Not one broken Crisps in a bag of thoroughly thickly cut yellow discs. There was a powdery surface to some and a very slightly brown tinge. 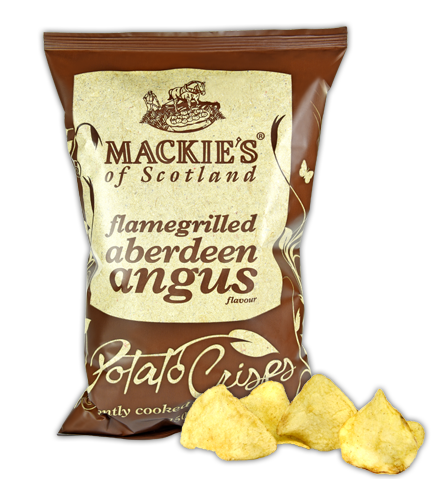 A Nose Plunge Test did not reveal much, and it would be fair to say that with Crisps this thickly cut there will always be more potato than added flavour. That said, there was a distinct, if a little muted Beefy flavouring. The flavour that was there was very pleasant. I should also add that the nutrition label aligns this with all peers, but as a snack food it is far more filling.